Three words for this: Pimp my piano. Okay four. NOW. This is amazing. 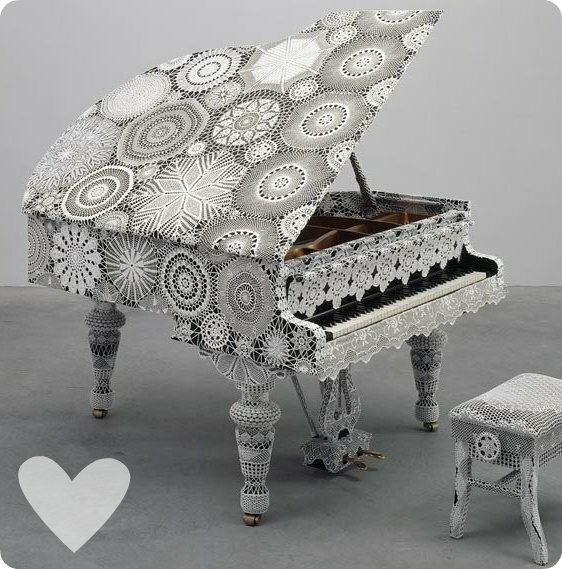 When I grow up I want to be Portuguese artist Joana Vasconcelos and live in the land of crochet pianos... Talk about doily love. This takes the doily to a whole new level. I so want something like this for my white flat screen television to give it some texture so it looks less plastic fantastic.